John Biggs is the CEO of payments company Freemit and a former TechCrunch writer. If you listened carefully to business news last week you could hear the sound of a giant tree falling in a quiet forest. It happened when Rovi bought TiVo for $1.1 billion. It was a merger of convenience, a way for TiVo to get out of its slump and die gracefully without much shareholder pain. 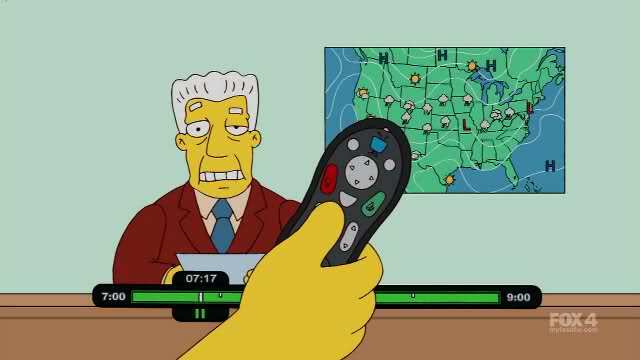 The buyer, Rovi, is a meta-data provider to set-top boxes while TiVo was the original set-top box, a device so important and ubiquitous that the Simpsons once made a joke about it that made you think that they were controlling your TiVo from inside the TV. Most of us haven’t seen a TiVo interface in years but a decade ago it was the only game in town. Set top boxes back then were awful – you had to use dial-up to get TV-guide-like program listings and recording was limited if it existed at all. Cable companies went crazy trying to figure out solutions – from connecting your boxes to the Internet to cable cards that allows third parties to build the hardware while the cable companies controlled the flow of content. In its heyday TiVo maxed out at 4.36 million hardware users. Now it has about 7 million users of “TiVo-enabled platforms deployed by operators in both North America and Europe, including Virgin Media, Vodafone Spain, RCN, Cogeco and Suddenlink.” Once TiVo was a hardware play and its name was synonymous with quality. Now it is a software play with a name synonymous with nostalgia. It has been reduced to a shattered spirit inside the horcrux of a Vodafone Spain set top box. It’s a sad way to go. TiVo is disappearing because its competitors already innovated. Dish’s latest Hopper UI looks surprisingly TiVo-like and has 16 tuners. TiVo once made a splash by launching a unit with two. Cable providers are including streaming video, massive libraries of free movies, and endless recording for $99 or so month. A la carte is slowly coming to the industry – although there is some proof the users don’t want it – not because it is a challenge the cable companies want to solve but because it is now easier to appease potential cord cutters than futz with massive programming packages. In short, TiVo’s benefit – the ability to record shows and watch them later (called time-shifting by those in the know circa 2006) – has been inundated by a tsunami of innovation that the company itself instigated. Innovation is an accretive process. At first it is lonely and difficult – the first TiVos were rare unicorns designed for the rich and early adopters – then it becomes commonplace. Tivo brought amazing things to the TV. The beep boops of the interface and the beautifully designed remote control were a true wonder. On screen interaction was magical, way back when. Now all those things are expected. Cellphones are rectangles of glass these days because all of the innovation has been flopped on top of what used to be a jungle of variegated systems. One phone, long ago, added a directory of contacts longer than ten entries, another added texting, yet another added a black and white camera. Fast forward a decade and the innovation in telecomm is slathered on like primer paint and the only differences between phones are in speeds, feeds, and screen resolution. In short TiVo innovated until it couldn’t anymore without popping into a new, frightening place. The innovation in this case becomes a background noise, a sort of base level that everyone must rise above to sell product and, in many cases, the base product gets so complex that it becomes the new normal. This is where disruptive technologies come in (and I despise the d-word but I’ll use it in this context.) The assumption that comes with “disruptive” technologies is that there is still plenty of headroom for new improvements to take root. That’s why investment in electric cars and VR is on the rise and it’s why everything else – food delivery, couponing, dating, and social media – is perceived as saturated. You will not raise VC for your chicken wing delivery app but you will raise if you invent a new type of artificial, krill-based chicken wing. For companies like TiVo the process of innovation doesn’t make sense. It’s too expensive and the innovators dilemma becomes a tactic for survival. Adding more features is now a basic strategy for all players and completely changing the way we interact with TV is probably impossible for a company like TiVo. There are ways to streamline the viewing process, certainly, but that is a UX problem and does not address the truth of the problem. 4K streaming, video games on demand, and true whole-home video control might be in the cards but those cards aren’t TiVo’s to play. The company, once a giant, is now an afterthought and so it goes, again and again, as the timeline of innovation plays, fast-forwards, and plays again.